Fully outsourced design, develop and manufacturing service of and high end hand held Electronic device for a multinational, global industry leader. 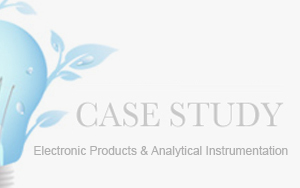 The client is a global brand leader in the manufacture of electronic products for a specific market sector.. Its products are sold in Europe, Australia, USA, Asia and Africa. The product is a complex custom designed hand held electronic device which is used as a high end accessory to our clients lager product range. The product is a customised design which consists of custom PCBA and internal electronics assembly, housed inside a customised plastics assembly. The clients branding is incorporated into the plastics and outer packaging. The product is packaged in cardboard box suitable for presentation in relevant retail environment. As a Global leader our customer identified the requirement for an accessory to accompany its high end product line. Our client developed a “Product Marketing Brief” document and issued it to Gentian. Our client wanted to partner with a company which would take guidance from its customer facing Product Development and Marketing Groups but which would be able to provide full turnkey design and development phase as well as establish a suitable manufacturing solution and provide full turnkey supply solution once product was developed. Gentians role was to work closely with the client, take the client brief and deliver full design and development stage, establish suitable manufacturing and supply chain solution and provide on-going supply of the product once product had migrated from R+D into manufacturing.